We’ve found great deals at 361 hotels! 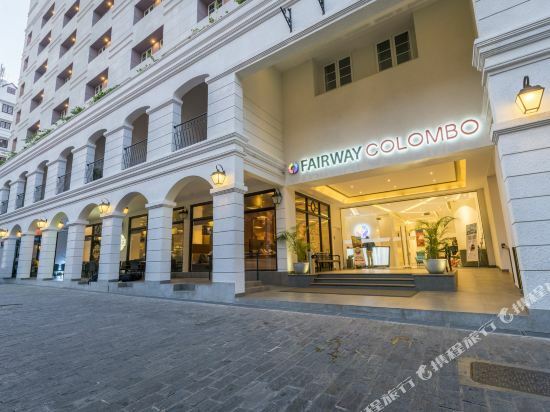 Located in Colombo World Trade Centre, Fairway Colombo is a perfect starting point from which to explore Colombo. Featuring a complete list of amenities, guests will find their stay at the property a comfortable one. Free Wi-Fi in all rooms, 24-hour security, daily housekeeping, photocopying, printer are on the list of things guests can enjoy. Television LCD/plasma screen, carpeting, cleaning products, clothes rack, complimentary instant coffee can be found in selected guestrooms. The hotel's peaceful atmosphere extends to its recreational facilities which include fitness center. Fairway Colombo is an excellent choice from which to explore Colombo or to simply relax and rejuvenate. 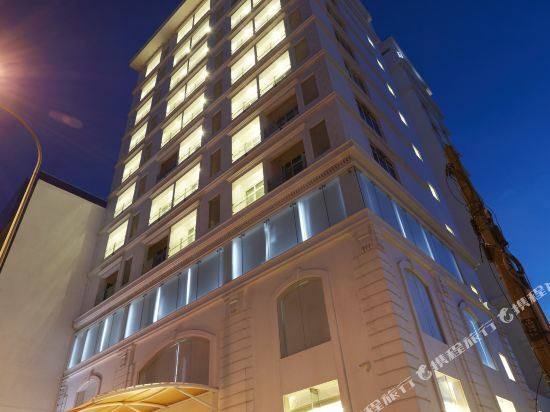 Housed in a colonial-style building, Grand Oriental occupies a prime location a 5-minute walk from Colombo Bazaar. Featuring a restaurant, it offers classic rooms and free WiFi in all areas. Grand Oriental Hotel is within a 30-minute drive from the Odel and Majestic City shopping malls. It is 33 km from Bandaranaike International Airport. Fitted with classic wood furnishings, elegant rooms offer the comfort of a seating area and air conditioning. They have tea/coffee making amenities and an attached bathroom. Explore the attractions of Sri Lanka with help from the tour desk. Staff at Hotel Grand Oriental can provide business and concierge services. Featuring sweeping views, Harbour Room serves a variety of international dishes while Sri Lankan Restaurant offers local specialities. After-meal cocktails are available at Tap Bar and B 52 nightclub. 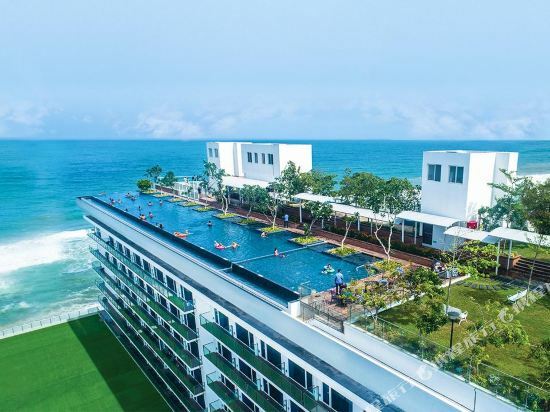 Opened in 2018, the Marino Beach Colombo offers travelers a pleasant stay in Colombo, whether for business or leisure purposes. This property features Free in-room Wi-Fi. With Dehiwala Railway Station just 8km away and Bandaranaike International Airport only 38km away, transportation is very convenient. Famous attractions St Peter's Church and The Lighthouse are just a short taxi ride away. In their spare time, guests can explore the hotel's surroundings. For guests' convenience, airport pickup can be arranged. This Colombo hotel offers free parking on site. The 5-star Cinnamon Lakeside Hotel offers comfort and convenience whether you're on business or holiday in Colombo. The hotel offers guests a range of services and amenities designed to provide comfort and convenience. All the necessary facilities, including free Wi-Fi in all rooms, 24-hour front desk, 24-hour room service, facilities for disabled guests, express check-in/check-out, are at hand. Guestrooms are fitted with all the amenities you need for a good night's sleep. In some of the rooms, guests can find internet access – wireless, internet access – wireless (complimentary), whirlpool bathtub, non smoking rooms, air conditioning. Access to the hotel's hot tub, fitness center, sauna, outdoor pool, spa will further enhance your satisfying stay. No matter what your reasons are for visiting Colombo, Cinnamon Lakeside Hotel will make you feel instantly at home. Awarded the title of Sri Lankaa? ?s Leading Hotel and Sri Lankaa? ?s Leading Business Hotel at the World Travel Awards, this Colombo hotel is centrally located in Colomboa? ?s business district. With a range of accommodation, from guest rooms and executive rooms to suites, this hotel in Colombo offers stunning views over the Indian Ocean.With ten speciality restaurants and bars, from Il Ponte, Sri Lankaa? ?s only Italian trattoria to Curry Leaf, serving its famed Sri Lankan cuisine, the Hilton Colombo hotel is a city favourite for both visitors and locals to dine at.Forty five minutes away from the Bandaranaike International Airport, this Colombo hotel offers business travellers both comfort and convenience. 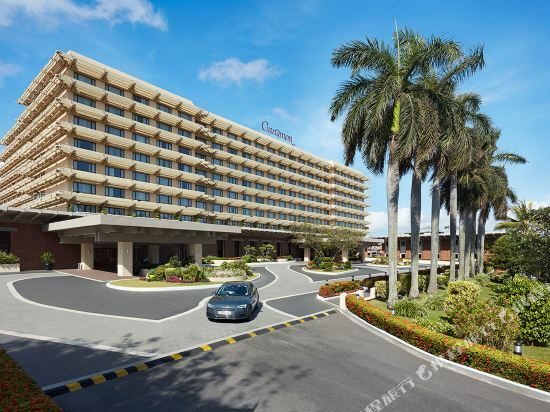 Directly connected to Colombo World Trade Centre, Hilton Colombo offers 25 onsite venues for business and social functions, including the citya? ?s only pillar-less ballroom. Located in the Kollupitiya district in Colombo,about 1.5 km from U.S. Embassy, Mandarina Colombo features air-conditioned rooms and free private parking. The hotel has a year-round outdoor pool and barbecue, and guests can enjoy a meal at the restaurant. The rooms come with a flat-screen TV. Some rooms feature a seating area to relax in after a busy day. Enjoy a cup of tea while looking out at the sea or city. Rooms are equipped with a private bathroom with a bidet and shower, with bathrobes and slippers provided. For your comfort, you will find free toiletries and a hairdryer. Mandarina Colombo features free WiFi throughout the property. Colombo is the capital and largest city of Sri Lanka. It is a typical Southeast Asian coastal city. There is beautiful coastal scenery and bustling night markets and casinos, as well as towering skyscrapers and magnificent temples and halls. 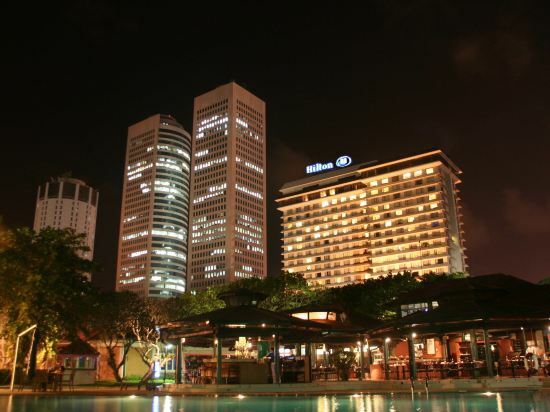 The romantic and casual atmosphere is what gives Colombo its unique charm. Colombo is a beautiful city with lush woods, pleasant weather, neat wide streets, and towering commercial buildings. Galle Road, the main street in the city, is a straight boulevard stretching from north to south, and eventually to Galle, which is more than 100 km away. In the streets of Colombo's old city, Hindu and Buddhist temples, Islamic monasteries, and Christian churches stand one after another. The two iconic buildings of Colombo are the National Museum of Colombo – which houses the largest collection of cultural relics in Sri Lanka and preserves the monument constructed in Sri Lanka by Zheng He; and Bandaranaike Memorial International Conference Hall - an internationally renowned building established in Sri Lanka 30 years ago under the help of China. In addition, the world’s first elephant orphanage, the ancient city of Kandy, the many National Forest Parks, and the South Coast should not be missed either. There’s something for everyone. Book a hotel in Colombo and enjoy your vacation. Colombo has a pleasant tropical climate with high temperatures but no strong heat. The average annual temperature is around 27°C and is suitable for tourism throughout the year. However, in July and August, Sri Lanka will celebrate the 10-day festival of the Esala Perahera. Although the main venue for celebration is in Kandy, Colombo will also hold many performances with local characteristics such as dancing, music and elephant shows. Don't miss it. 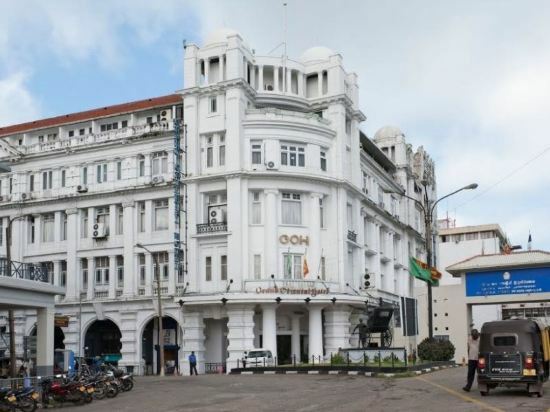 Colombo hotel information & deal: Check out room rates, photos, a map and reviews of hotels in Colombo and find the best deals on Colombo hotels. Trip.com offers big savings on online reservations for Colombo accommodation. Book Colombo vacation packages and Colombo tours with huge discounts on Trip.com!